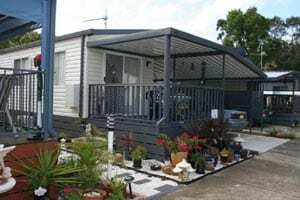 This spacious manufactured home is under 3 years old and comprises of a covered front verandah, open plan lounge and kitchen with dining area. The two well proportioned bedrooms are complemented with mirror-door robes and ceiling fans. Bathroom with separate WC, internal laundry and reverse cycle air-conditioning ,and a large carport adjoins the side of the home with space for a storage shed.